More than 40,000 people were killed on our nation’s roadways last year, an increase of 6% from 2015, and distracted driving is a major contributor. 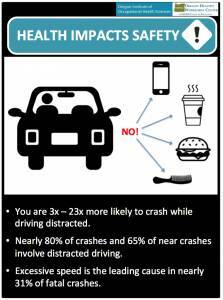 In light of these disturbing statistics, the National Safety Council (NSC) has designated April as Distracted Driving Awareness Month. The NSC is offering a variety of resources that you can share with friends, family and colleagues, including infographics, posters, fact sheets, a variety of social media-friendly graphics, and a free webinar, “Engaging Ways to Address Distracted Driving at Work,” on April 19, 2018. The NSC’s free Safe Driving Kit can also be ordered online. 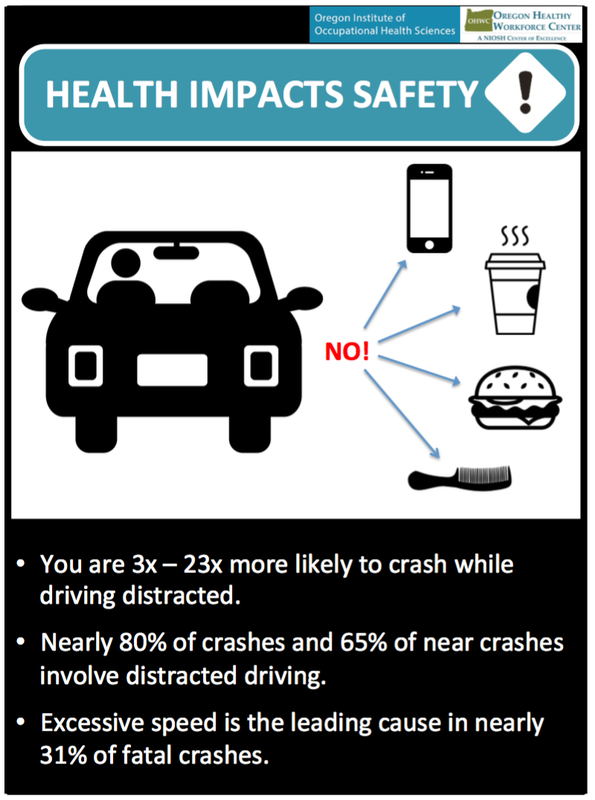 You can also download our Health Impact Safety Guide on distracted driving to share with work colleagues. And, as I learned from OSHA’s “Quick Takes” blog, April 9-13 is National Work Zone Awareness Week, with events across the country to bring attention to the hazards of objects and vehicles striking workers, the leading cause of roadside-related construction deaths. With the Spring season, highway construction projects become more common and more drivers hit the road as the weather improves. Please protect your fellow human beings and be careful out there.